Adults desire playtime as much as kids do. In fact, they need it. Taking time to engage your mind and coordination will keep your wits sharp. Architectural toys are a great outlet, especially if you like putting puzzles together. Plus, they make great decorations afterward. An architectural toy is a model of a building, city, or skyline that you put together yourself. They often take time and patience, but the results are well worth it. It is essential to maintain your focus and patience while putting them together. It can be a tedious process, but who doesn’t love a challenge? Plus, you will have fun while doing it. Some kits are more extensive than others. They often come with anywhere from 200 to 1,200 pieces, so you can choose how much you want to challenge yourself. Each one can be made from different materials like plastic, metal, or wood. Wooden architectural toys are easily customized. You can sand, stain, or paint them however you like. Robotime and Lingduan offer fun wooden kits. Just be careful when sanding them. You want to make sure each piece fits together correctly. Lego is the biggest producer of plastic architectural kits. They are often easier and more colorful than other models. However, take extra care while assembling them. Each piece fits tightly, so take it slow. You don’t want to break one. 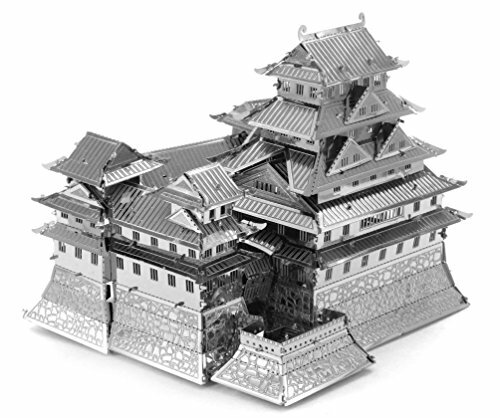 Bitopbi and Metal Earth Fascinations create beautiful metal architectural toys. They are often historical building models. These metal kits usually require extra tools. Plus, the edges can be sharp, so be careful while assembling them. 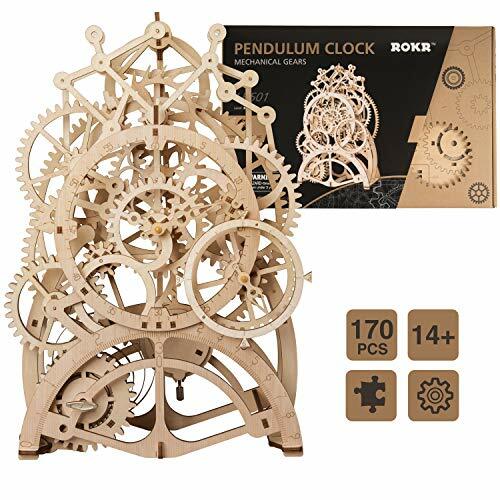 If you are a fan of the steampunk style, you’ll love this clock kit. It is made of smooth wood and has a gorgeous finish. The instructions are simple, so you won’t end up frustrated during this project. Plus, the parts are all pre-cut. All you need to do is put it together! No glue is required for the assembly process. Each piece is easily removed from the packaging. The pieces are laser-cut with precision. Some users complain that certain gears can pop out of place. The clock is powered with a wind-up mechanism. It only lasts around eight hours. A few people complain that the clock does not keep accurate time. This is a beautiful work of art. It is fun to put together, especially if you enjoy a challenge. The clock may not keep time well, so functionality may be a problem. It is still a fun project that will look great when you finish it. Speaking of challenges, this kit will put your ingenuity to the test. 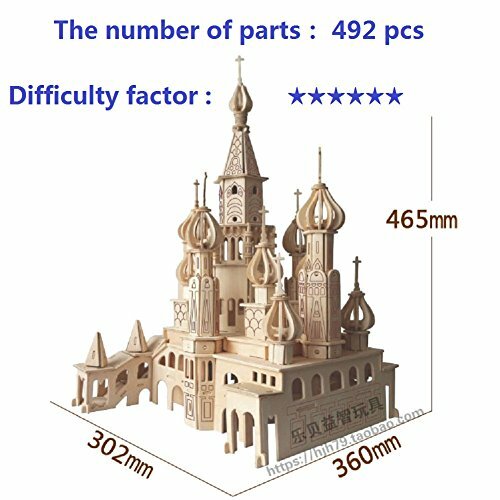 Create your own unique wooden castle with these perfectly cut parts. This kit will increase your skill level. It takes patience, but the result will be well worth your time and effort. Plus, no glue is needed! It is a larger puzzle. You will get the most out of your experience this way. Each piece is made from natural wood. You can stain, paint, sand, and lacquer it as you please. The assembly can be tedious. It is not recommended for beginners. If you have experience with adult toys like this, you will have a blast. This puzzle takes a while to complete, but you will love the results. It is made from natural wood, so you can customize the colors and textures to your liking. However, it is not for newcomers. Yes, Lego makes toys for adults too! It’s not just lego star wars sets or Harry Potter castle kits. Bring out your inner child with this fun kit. 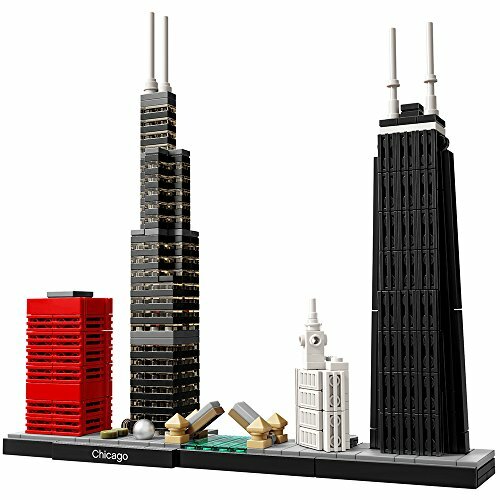 It is a detailed model that includes several famous Chicago buildings. There are 444 pieces in all, so set aside a day or two to finish it. This puzzle is a modern addition to any model collection. 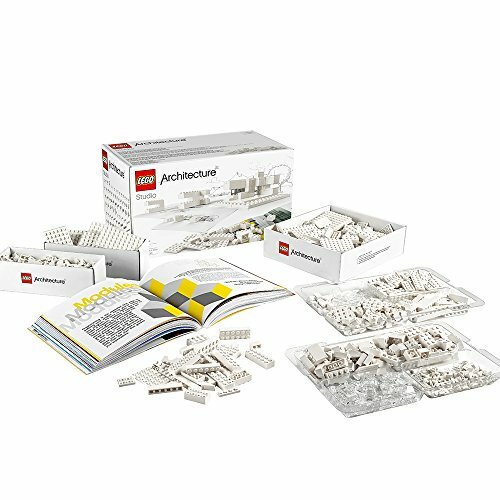 This kit includes a booklet that explains the history and architecture of each building. It is compatible with other Lego building sets. The model includes the Sears tower. It is a smaller kit. The process may be a bit tedious for some. This is a fun toy, especially if you are fascinated by architecture. It may be smaller than other models. However, it is tons of fun. Put it together in a day or two. Plus, it is a colorful and contemporary finished product. If you enjoy architecture, you should try this toy model as well. 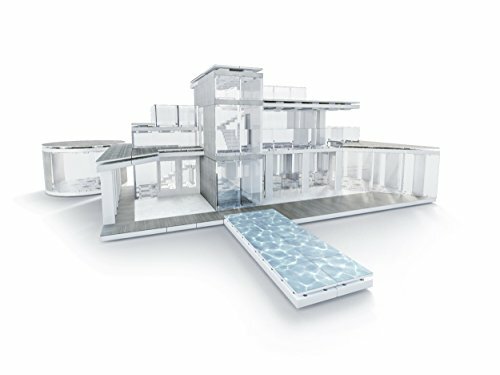 You will create your own three-dimensional modern home with 570 pieces. It is a great challenge as well. The pieces are made to fit tightly together, so attention to detail is essential. Plus, you can add onto it over time. 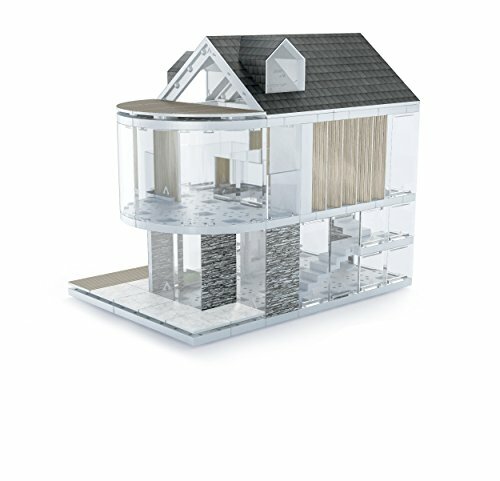 You get free online access to Arckit digital tools. An easy instruction manual is included. This kit is made in Ireland, so the metrics are not converted to American measurements. Some users complain that the parts are hard to set together because they are so tight. Try this modern architecture puzzle if you’re searching for a fun learning experience. It is a great model for beginners but be aware that the parts must be handled with care. They are crafted to hold together tightly, so be careful not to break them. Are you looking for a toy that is multi-functional? This is the puzzle for you. It includes 1210 monochromatic blocks for ultimate customization. You can build several models as you progress. Additionally, it includes a large guidebook that is written by famous architects. It comes with a sorting tray to keep your parts organized. This kit is endorsed by major architects and architectural companies. Detailed pieces are included to allow creative breathing room. It does not come with a building base. There are no definite instructions, so it is not a beginner kit. If you study architecture, you will love this toy. It allows you to create your own custom buildings from scratch. Plus, a guidebook is included to help inspire you further. However, it isn’t recommended for new builders. With 94 pieces, this model is made with a high quality of craftsmanship. It is a wonderful decoration as well. Plus, it is relatively easy to assemble. 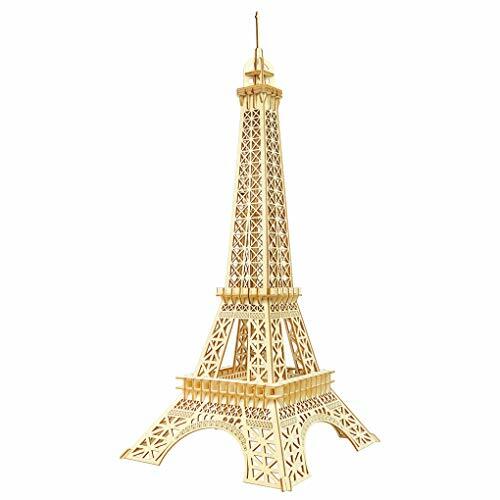 Add it to a Paris-themed room in your house or put it with your other finished models. No tools or harmful chemicals are needed to assemble it. It is made from beautiful and sturdy brass wood. The instructions are easily followed. It is not recommended if you are looking for a challenge. This is a relaxing project. People love this toy. It makes a gorgeous decoration for any room. However, it is not recommended if you are an expert model builder. It is an easy day project, but you will enjoy the finished product for years. Try this kit for a more difficult project. It isn’t necessarily for experts. You will require some patience and persistence though. However, the parts are unique. You can build impressive models with this kit. Plus, it is reusable. You can add new parts or re-build it whenever you wish. It comes with over 230 pieces. Each piece fits perfectly to the other without glue. You get an instruction manual, plus free access to Arckit’s online tools. Be careful when putting this kit together. Some of the pieces can break. This kit strongly resembles the Arckit 360, but it contains more uniquely crafted parts. It is great for intermediate builders. The pieces fit together well but be careful not to push them together too hard. They can break. Take your time. You will gain hours of entertainment this way. If you enjoy architecture from southeast Asia, you’ll love this model. It is a difficult puzzle, so you will find a great challenge with it. The details are incredible. Each piece is crafted with metal, so take great care while putting them together. It is a great challenge that will increase your building abilities. The result is stunningly beautiful. There are several tools required. You will need short needle-nose pliers, long needle-nose pliers, small flat-end pliers, pointed tweezers, a small metal cutter, a small metal file, two photo-etching or bending tools, and a strong light source. A magnifying glass that can stand by itself while you work is also a plus. It is not for the beginner or intermediate builder. Putting this model together is can be tedious. However, it is a great challenge for expert model builders. There are several tools required, but the result is worth your effort and patience. It is a stunning product. Build a colorful interpretation of Shanghai’s skyline with this toy. It contains around 600 pieces, so it will be a wonderful challenge. 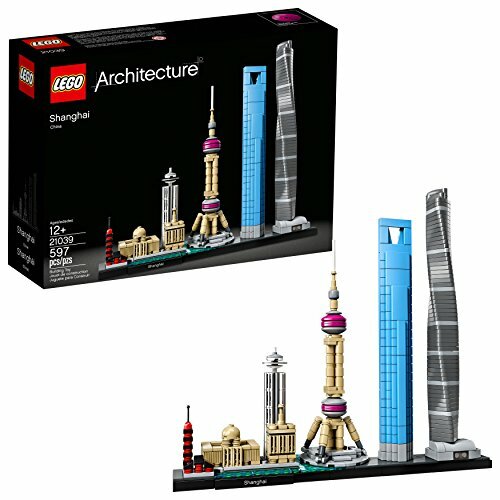 It includes parts to help you build some of the city’s most iconic skyscrapers. It’s compatible with other Lego architecture kits. The instruction manual is detailed enough to follow easily. It comes with all the tools you need. This model may be too simple for the expert model lover. Some of the buildings are not scaled accurately. Try this toy if you are new to the game. It is a fun challenge. Plus, the results are colorful and unique. It’s not for experts. However, it would be fun for anyone to assemble. It comes with all the tools you need, plus detailed instructions to make your time more enjoyable. Create your own city with this kit! It includes vinyl sheets with road layouts as well. You have tons of creative freedom with this model. Vinyl facades are included too, so you can add a decorative element to your buildings. You gain free access to Arckit’s online tools. There are over 390 pieces for building and rebuilding. Access the Arckitexture Printable Materials Library for free! Some people complain that the peg and hole system is too tight. This is by far the most multi-functional kit on the list. 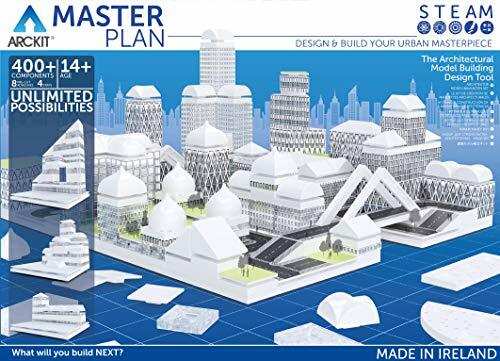 You can create your own city plan and build it from the ground up. It is great if you’re an intermediate builder. The extras that are included are a plus as well. However, take care while putting it together. Some users say it’s easy to break pieces. They fit together tightly.